Experience the high performance outdoor basketball surface of Supreme Sports Basketball Courts. Whether you're suiting up for a full court basketball game or practicing your shooting skills, ensure the peace of mind that comes with playing on the healthiest and safest surface on the market today. 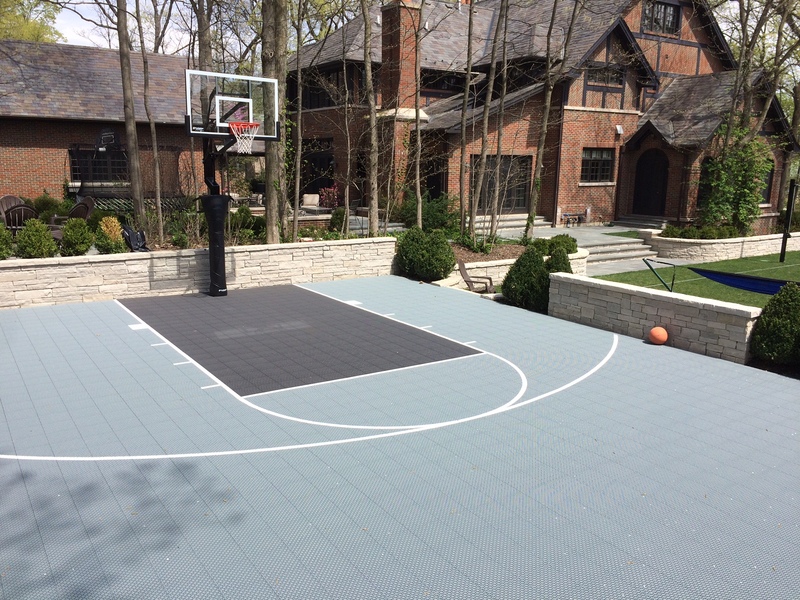 Supreme Sports's Chicago Basketball Courtswere designed for maximum stress reduction and injury prevention. 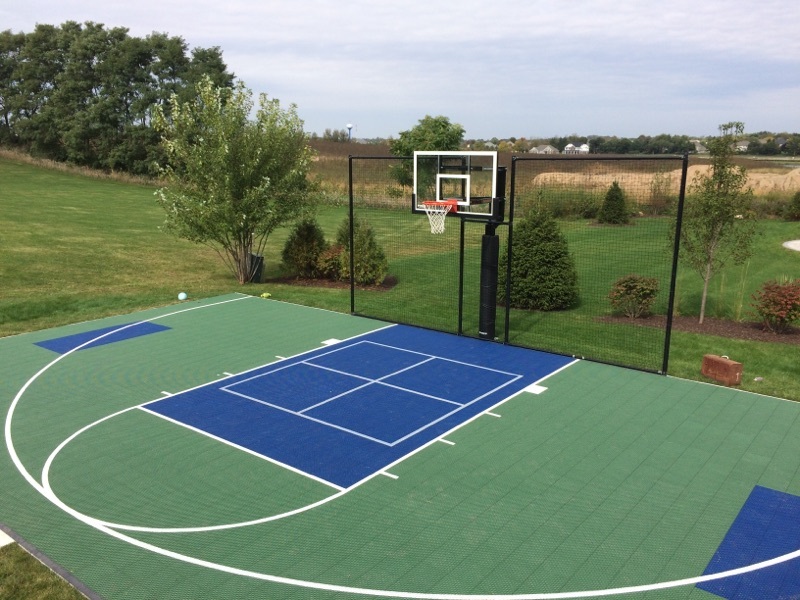 Featuring top of the line performance surfaces and stunning custom designs, Supreme Sports Basketball Courts bring an entirely new look to your backyard while paving the way for endless family fun. There's nothing like our full range of professional services and installations. Choose from a selection of high performance Hoops, along with court accessories, as we cater to all of your backyard needs. These outdoor surfaces provide stress reduction and injury prevention, allowing you to focus on elevating your game and an endless amount of family fun on any occasion. Available in both regulation and custom court layouts, Supreme Sports Basketball Courts are easy to install, available in 18 standard colors and backed by a 15 Year Warranty. Custom court logos are available for every event and facility. Contact us today for a free estimate by a Supreme Sports Specialist near you.